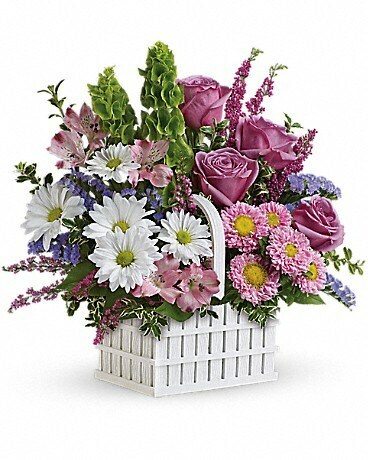 Surrounded by a dainty white picket fence and bursting with the fresh shades of spring, this adorable little garden of roses, asters and mums is the perfect gift for any spring celebration! 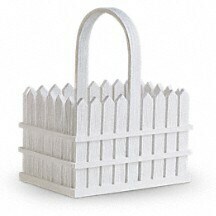 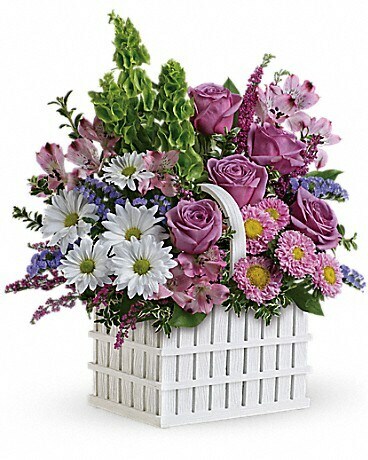 This perfect, white resin basket is a part of Teleflora's exclusive Flowers-in-a-Gift collection. 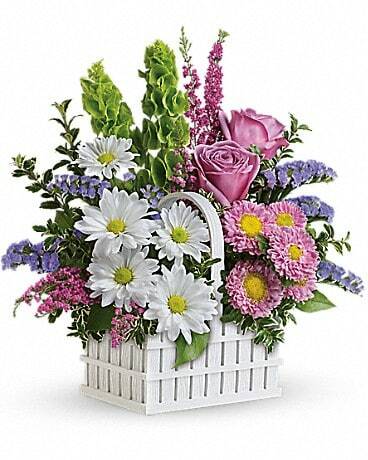 This sweet décor piece will be enjoyed throughout the year.